Here’s an interesting take on installing a display aquarium in your business. 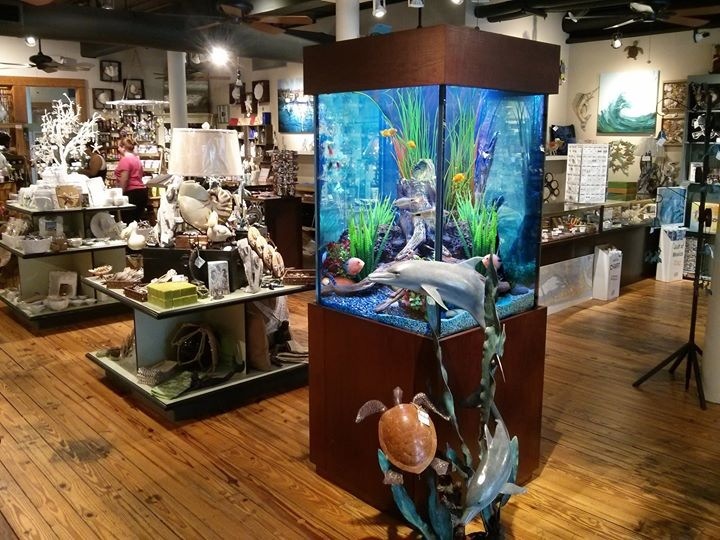 Fish Gallery, a chain of fish stores and maintenance subsidiaries with locations in the major Texas cities (Houston, Dallas, and Austin for example) and various other parts of the US, is accepting applications to join their “Fish Gallery Display Program”. This service is basically a low cost monthly subscription to display an aquarium at your place of business. There is no initial purchase required, as Fish Gallery will install and maintain their own custom aquarium over the lifetime of the service contract. What are the benefits to such a program, you might ask? Well, besides the fact that you get to stare at an aquarium where you work, which has its obvious benefits, the business owners don’t have to buy or already own the aquarium equipment. Many restuarants, retail stores, and doctors’ offices have aquariums installed to entertain guests. In many situations, the place of business has to buy all of the gear and pay for it to be maintained on a monthly basis. This is usually handled by aquarium maintenance companies, most of which do not offer a package such as this. But due to Fish Gallery is a sizable company with their own aquarium manufacturing subsidiary (Acrylic and Glass Exhibits), they have plenty of capital and materials to keep a program like this running, Not to mention, there is a huge cost savings to the business owners who want to display a fish tank but don’t want to own the equipment. If you would like to find out how to get into the Fish Gallery Display Program, be sure to shoot them an email at info@thefishgallery.com. How much are these Aquarium? They must be a fortune to Rent. Be a lot better to just buy your own.